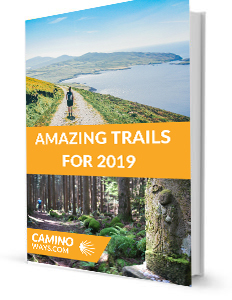 Download our trail guide for 2019! We have asked the expert, gotten out on the trails and discovered the top 19 trails to tick off your 2019 bucketlist. This guide is designed to give you a taste of some of the best hiking trails on offer in Europe. The guide is divided by trail. Each route is inspiring and there is a trail out there for walkers of every level of fitness. Using the knowledge of our travel experts and our experience walking some of the most beautiful walking trails in Europe we have narrowed it down to a list of the top 19 for 2019 to help you discover your next adventure.